Renovated apartments near Central Michigan University at unbeatable prices, what more could you want! Copper Beech Mt. Pleasant is getting a major facelift in 2019! 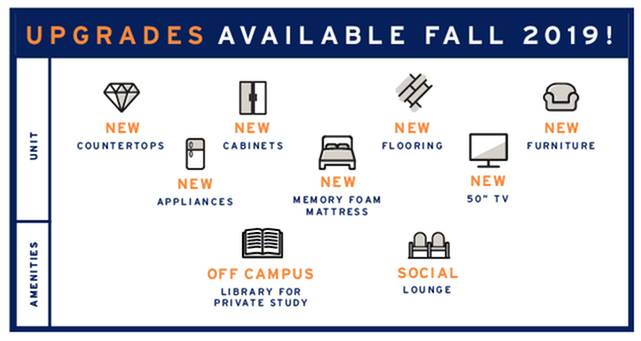 We're introducing upgraded apartments that will feature new vinyl plank flooring, new stainless steel appliances, new quartz countertops, new modern kitchen cabinetry, new designer furniture package, a 50'' TV in the common area, and so much more! These newly upgraded townhomes are nearly brand new from top to bottom! Not only will you get a beautiful new apartment but you'll get an absolutely amazing price!